I did not fully appreciate all that my mom taught me while growing up. Nor did I truly appreciate all the things she did that I simply watched her do and learned by her example. One such example is menu planning. ... and beside each day she listed a dinner idea. Now that did NOT mean that we would have what was listed on each day on THAT particular day. It just showed her what was available to cook that week. For example, the above list shows Ham and Black Bean Soup for Monday. We had it on Thursday because it ended up being easier on my schedule this particular week. After making the menu out, my mom would then list all that she needed to prepare each dish. Then she'd add in stuff needed for breakfasts and lunches, as well. Here in our home, we eat leftovers or simple sandwiches for lunch. Our breakfasts are eggs or oatmeal of some kind of homemade muffin or pancakes. 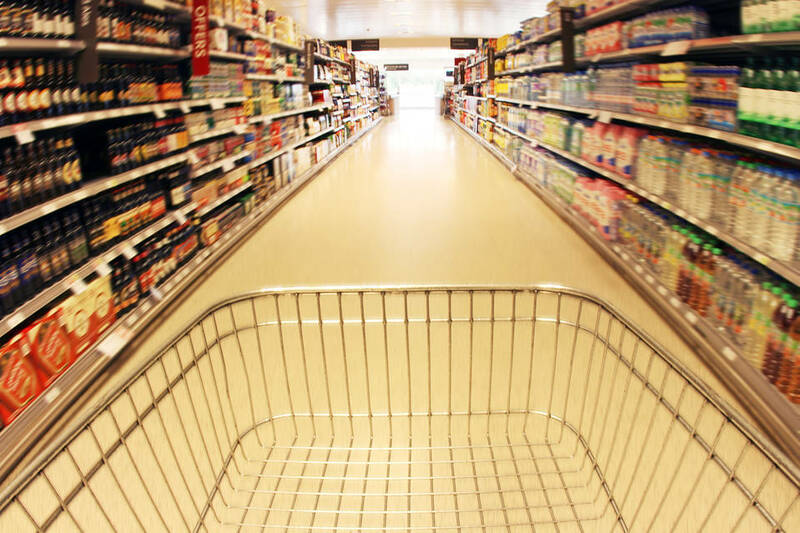 After your list is complete, it's just a matter of heading to the store (or stores) to purchase what's needed. I always head to Aldi first and then Publix to get whatever Aldi did not have that I needed. This particular day, I also needed to stop at Sprouts for a few things (their coffee is THE BOMB!!!!!!). Then I headed home, put away all the groceries, and sat back and relaxed knowing that our food was taken care of for the upcoming week. THANK YOU, Mom, for teaching me how to menu plan!! I've met soooo many ladies who have no clue where to start and I am so sooo thankful for your example!! If y'all have any questions, PLEASE feel free to ask!! And if y'all have any ideas to share that work for you, please share that, too!! 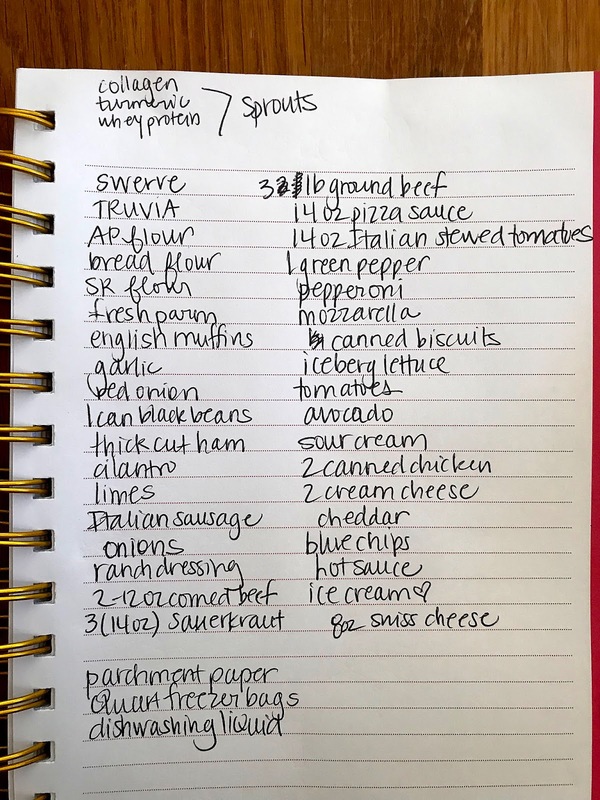 This is such a wonderful way to menu plan! I love that you had your Mom to teach you this! I'm not great at menu planning...something I'm working on. I usually just stock the basics and figure out something from there. I make most everything from scratch. I love the make a list and scratch out what you don't need....I'm going to try that part. Since I've already started making a meal plan for each day of the week already. I meal plan almost this exact same way and it works out so well for us!!! The only thing I would add is that when I create my grocery list I write the items out in the order that I know I will find them throughout the store - which really only works if you know where you are shopping well but I like to look down my list and cross things off as I go. I have been a meal planner for over 40 years, it really is a way of life. You are right it doesn't have to be fancy, just do it. It save time and money, plus I think the family gets better meals. Every week on Saturday, I publish Whats For Dinner Next Week, complete meal plans with recipes for the week. Thanks so much for sharing your post with us at Full Plate Thursday this week. Hope you have a great day and come back soon! Such a great way of doing it. Meal Planning is on my list to really get to grips with this year. Thanks for sharing. 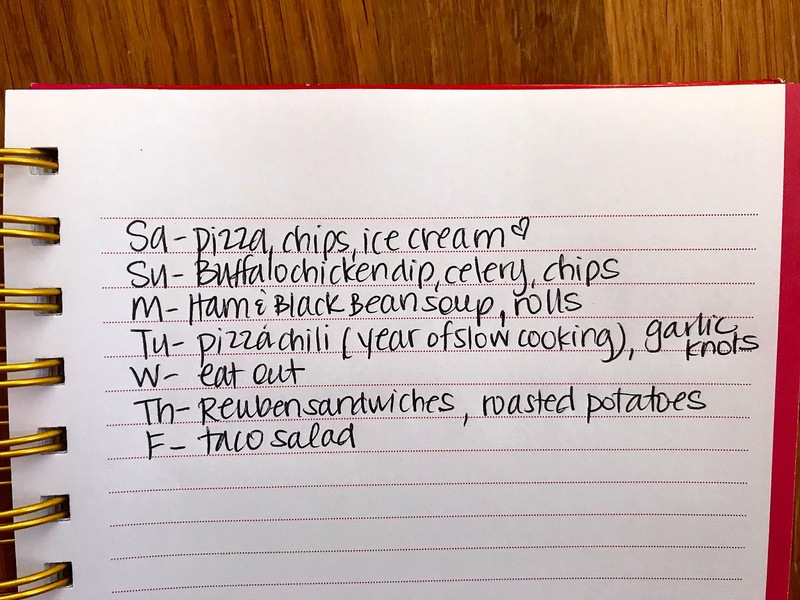 I really like this method of meal planning -- something I am not very good at....! Thanks for sharing with #HomeMattersParty! Moms do know a thing or two, don't they? It was fun to read through your menu planning session - I plan out my meals for the month in a similar fashion. Thanks for sharing this at our Encouraging Hearts & Home Blog Hop! I am enjoying catching up with your blog! 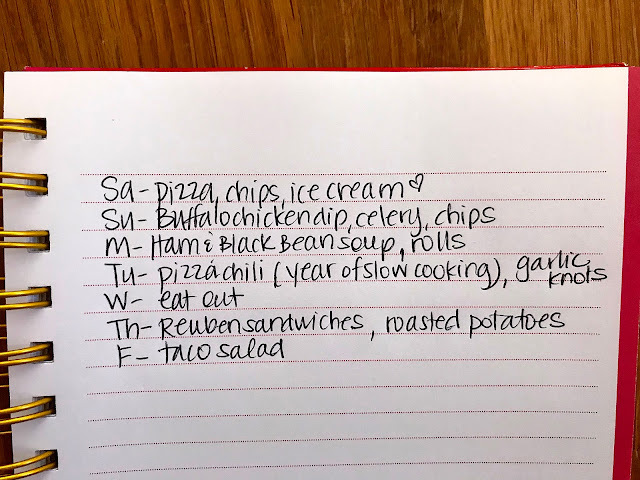 I have been menu planning for almost all of our 30 years of marriage. We were dirt poor when first married and I was blessed with some older godly women at church who taught me how to meal plan and make filling meals for less. I actually taught my mother in law how! My brother in law came to stay with us for a month one summer and he went home and told my mother in law that she needed to ask me how to do it. 🙈 I have a list of everything that I buy by aisle, and just print one out each time. I shop every two weeks, but when we lived in Arizona it was Once a month.